Tracing PMF's path to this point. One hundred and twenty nine young musicians from 18 countries and regions were selected from 1,532 audition applicants. Former Artistic Directors Michael Tilson Thomas and Christoph Eschenbach returned to the PMF for the 20th anniversary and conducted the PMF Orchestra. PMF Faculty consisting of principal players from Vienna (PMF Vienna), Berlin (PMF Berlin) and the United States (PMF International Principals) coached the PMF Orchestra members and the Tokyo String Quartet taught the String Quartet Course. Lera Auerbach joined the festival as Composer-in-Residence. In commemoration of the PMF 20th anniversary, 65 alumni came together to form the PMF Anniversary Orchestra and performed Schumann's Symphony No. 2 with Eschenbach, a work that Bernstein conducted in 1990. One hundred and twenty eight young musicians from 18 countries and regions were selected from 1,388 audition applicants. 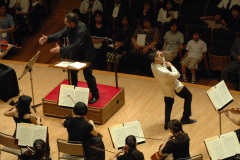 Fabio Luisi, Jun Märkl and Tadaaki Otaka, together with Luis Biava and Kentaro Kawase conducted the PMF Orchestra. Toshio Hosokawa, Composer-in-Residence, taught four composition course members and the Tokyo String Quartet taught the String Quartet Course. PMF Faculty consisting of principal players of the Wiener Philharmoniker, the Berliner Philharmoniker and major orchestras in the United States and Japan coached the PMF Orchestra members. 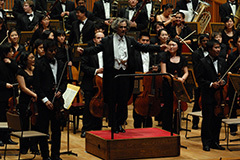 A "Gala Concert" celebrating the 90th anniversary of the birth of PMF founder Maestro Leonard Bernstein was held by members of the PMF Orchestra and the Sapporo Symphony Orchestra. 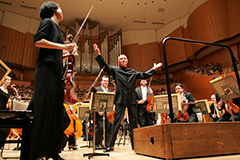 Hosokawa's Cloud and Light for Sho and Orchestra made its Japanese/Asian premiere. It was co-commissioned by the Deutsche Radio Philharmonie Saarbrücken Kaiserslautern (SR/SWR) and the Pacific Music Festival. One hundred and twenty nine young musicians from 21 countries and regions were selected from 1,465 audition applicants. 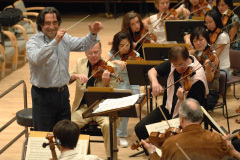 Riccardo Muti, Philippe Jordan and Andrey Boreyko conducted the PMF Orchestra. Herbert Willi, Composer-in-Residence, taught two composition students and the Tokyo String Quartet taught the String Quartet Course. 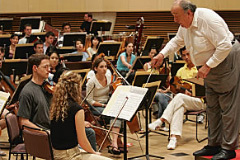 PMF Faculty members made up of principal players of the Wiener Philharmoniker, the Berliner Philharmoniker and major orchestras in the United States and Japan coached the PMF Orchestra. 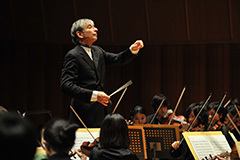 The festival introduced Philharmonia Taiwan, which visited Japan for the first time. 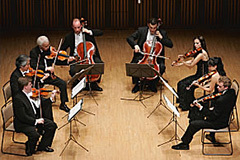 Other new programs included a day-long outdoor ensemble concert in which members of the PMF Orchestra, the Sapporo Symphony and the PMF faculty collaborated for the performance. Free outreach concerts in Odori Park and other sites in Sapporo attracted a large number of audiences throughout the festival period. One hundred and twenty young musicians from 17 countries and regions were selected from 1,434 audition applicants. 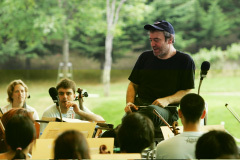 Valery Gergiev, Yakov Kreizberg and Sascha Goetzel conducted the PMF Orchestra. Toshio Hosokawa, Composer-in-Residence, taught two composition students and the Tokyo String Quartet taught the String Quartet Course which was added to the festival during PMF 2005. In addition to PMF Faculty members from Wiener Philharmoniker and major orchestras in the United States, 13 members of each instrument section from the Berliner Philharmoniker served as faculty, PMF Berlin, for the first time. Free outreach concerts in Odori Park and other sites throughout Sapporo attracted a large number of audiences. 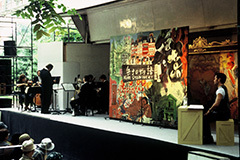 The works of anniversary composers, including Mozart, Takemitsu and Shostakovich were featured in the concert programs during the festival. 127 young musicians from 24 countries and regions were selected among 1,249 applicants. String Quartet Course was held for the first time and 3 groups from USA, Poland and Japan participated after audition. 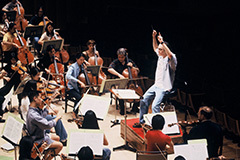 PMF Orchestra members officially performed three concerts at the EXPO 2005 AICHI JAPAN. 115 young musicians from 25 countries and regions were selected among 1,201 applicants. 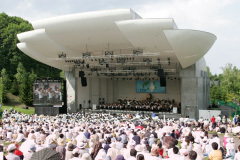 The outdoor stage at Sapporo Art Park re-opened after one-year renovation and was named Leonard Bernstein Memorial Stage. The festival celebrated its 15th anniversary and a Leonard Bernstein Memorial Plaque was placed at the side of the stage. 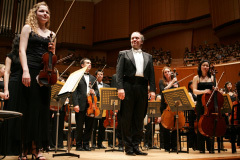 Varied 15th anniversary programs, including "Gergiev and Schmidl Talk Session" were presented during the festival. 103 young musicians from 30 countries and regions were selected among 1,096 applicants. 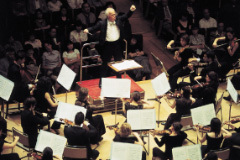 The position of Artistic Director became vacant and Bernard Haitink assumed Principal Conductor, and Edo de Waart was invited as Guest Conductor. 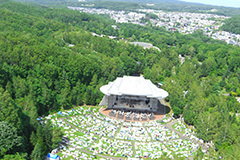 Due to undergoing renovation work on the outdoor stage at Sapporo Art Park, concerts in Sapporo were mostly held at Sapporo Concert Hall, Kitara. One hundred and fourteen young musicians from 28 countries and regions were selected from among 1,178 applicants. Six audition applicants from Asian countries were selected to participate in the Junior Fellow Program. Four young pianists were invited to perform during the festival as an exchange program between PMF and Music Festival Argerich's Meeting Point, in Beppu. 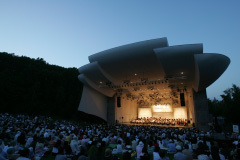 Two outdoor concerts, namely the PMF Orchestra's concert at Sapporo Art Park and the Odori Park Concert, were cancelled due to rain. 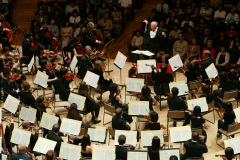 Charles Dutoit served as Artistic Director and Chien Wen-Pin served as PMF Orchestra Resident Conductor, and the PMF Orchestra performed works of Mahler, Stravinsky, Shostakovich and R. Strauss. 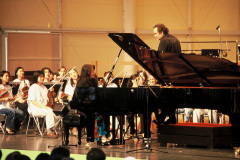 Pianist Martha Argerich and violinist Joshua Bell were invited as soloists. John Corigliano served as Composer-in-Residence and taught the Composition Course, which was held for the first time. Also, prior to the festival, with approval from the Japanese Ministry of Education, Culture, Sports, Science and Technology, the PMF Organizing Committee became an Incorporated Foundation in April. 117 young musicians from 31 countries and regions were selected among 1,327 applicants. Five audition applicants from Asian countries were invited to the Junior Fellow Program, and two faculties from music university/conservatory in Asia were invited to observe the festival program. 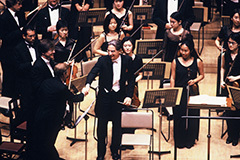 Charles Dutoit assumed sole Artistic Director of the festival. The festival alumnus Daniel Matsukawa, Principal Bassoon of the Philadelphia Orchestra, became the first alumnus participated as a member of the PMF faculty. 128 young musicians from 28 countries and regions were selected among 1,288 applicants. Eight audition applicants from Asian countries were invited to the Junior Fellow Program, and a faculty of a music conservatory in Asia was invited to observe the festival program. 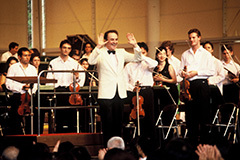 Charles Dutoit joined the festival as co Artistic Director. Fellows in the Vocal Course performed Baroque programs with the course director, Peter Grunberg.